Mysore Morning program: doors open from 6.45 am. From 6.45 to 10.45am, last entry 9.15h. Mysore Evening program: Tuesday and Thursday from 6.30pm till 8.30pm, last entry 7.15pm. The shala closes at 8.30pm. Beginner’s Monday Class from 6.30pm to 7.30pm: please arrive 10 minutes before the class starts at 6.30pm. Led Primary on Saturday from 9.30 to 11.30am; please arrive 10 minutes before the class starts at 9.30h. On Moondays we are close. Check MOONDAYS. On public holidays the shala will be close. Check Facebook or Instagram. Check Instagram/Facebook for updated schedules, classes and courses. If you are a student or unemployed ask us. 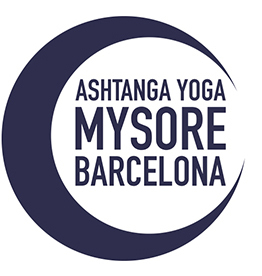 The Bonuses are priced as tightly and economically as possible to make the practice of ashtanga yoga accessible to all people. Classes during the current month from 1 to 31. Class payments are not refundable.